The Audi Q3 quietly made its way onto the Canadian market a couple of years ago when the German automaker decided to bring the European Q3 over for a year as it waited for the next generation to arrive in 2016. Today, the 2017 Audi Q3 is the most affordable sport utility vehicle in the Audi lineup, but that doesn’t mean it’s lacking the advanced safety and connectivity features of the previous generation. 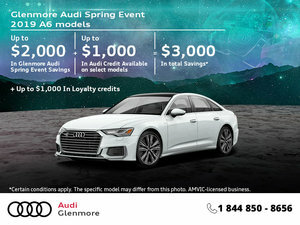 The 2017 Audi A3 is offered at Glenmore Audi starting at $34,600 and features xenon headlights with LED daytime running lights, a panoramic sunroof, heated front seats, cruise control, Bluetooth, leather seats and a leather-wrapped steering wheel. Other options include a navigation system, electronic tailgate, dual-zone climate control, LED headlights, Audi intelligent key with push-button start, Bose premium sound system, rearview camera with parking assist, Audi Side Assist and a lot more. In terms of interior space, the Audi Q3 features plenty of leg and head room for passengers in the front, and passengers in the back will be comfortable as well despite the Q3’s compact dimensions. There is also an impressive cargo area that offers 460 liters of cargo space. As Audi’s entry-level sport utility vehicle, the 2017 Q3 is both affordable and luxurious. On the road, buyers get a vehicle that combines both comfort and performance in a technologically-advanced vehicle that is also stylish and perfectly proportioned. The 2017 Audi Q3 will do as well on a twisty road as it will on the highway on your morning commute. 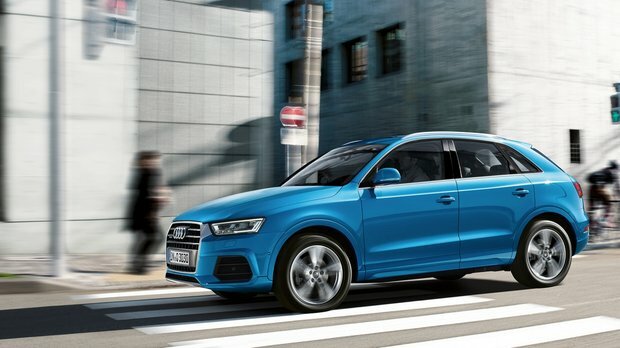 Moreover, in the city, the Q3 is both agile and easy to park anywhere you find an open spot. Visibility is ideal all over which makes the Audi compact SUV a joy to drive in a tight environment. The 2017 Audi Q3 provides plenty of power thanks to a 2.0-liter, four-cylinder turbocharged engine that delivers 200 horsepower and 207 lb-ft of torque. That means that the Q3 can reach 100 km/h in about 8.6 seconds. Power is sent to the front wheels or all four wheels thanks to Audi’s renowned Quattro permanent all-wheel drive system which is perfect to take on the Calgary winter. Better yet, the 2017 Q3 happens to be one of the most fuel-efficient compact SUVs in its class with an average fuel economy rating of 8.2 liters per 100 kilometers in the city. 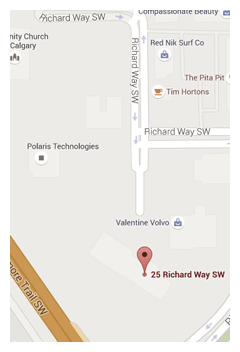 To learn more about the 2017 Audi Q3, contact us today at Glenmore Audi in Calgary.